Poison Ivy!! Just today I was asked by a client if we could help him with some poison ivy he had discovered on his property. He was sure it was the noxious vine as he had the rash to prove it! The vine had wound itself into his hedge and he was worried about our crew trimming the hedge and coming in to contact with the vine. We were happy he called ahead and we were able to help with this. Toxicodendron radicans otherwise known as Poison Ivy is best avoided at all cost but not everyone reacts to the allergen urushiol it produces. That being said though, just because you didn’t react the first time you came in contact with the urushiol the plant produces, doesn’t mean you couldn’t react the next time. Contact with the vines, leaves and roots could produce a nasty, red, oozing rash, not to mention incredibly itchy. Urushiol transfers easily to your clothes, pets, shoes as well of course to any body part that comes in contact with it. “Leaves of three, leave them be” is a rhyme we all hear growing up but poison ivy is a tricky plant to identify. It likes shady spots, along edges of an area of growth, it can be an aggressive climber, or it can look like a big shrub, growing to a height of 1.5 meters tall. It is a deciduous plant with light green leaves in spring but changing to a darker green as the summer progresses then to a vibrant red in the fall. As a Landscape Company we are asked to deal with this every summer. We have a special applicator’s permit in order to spray for noxious weeds. We use what is commonly known as Roundup, which is Glyphosate, a broad spectrum herbicide used to kill broadleaf weeds. A sprayed application applied to as much of the plant as possible without coming in contact with plants nearby that you want to keep. A second application will likely be required for a large infestation. Extreme caution should still be taken with the dead vines as any contact could cause a rash even if the plant is dead. If you come in contact with a poison ivy vine wash with soap and water or rubbing alcohol immediately to remove as much of the allergen as possible. Once affected, calamine lotion may help but in extreme cases see your doctor. For a natural treatment, an elderly hunter and outdoorsman once told me that he was cured of particularly nasty bout of poison ivy with Jewelweed. The leaves and juice from the stems are purportedly used to treat poison ivy. While we have no direct experience with this it might be something to consider if you have to deal with a case of poison ivy. 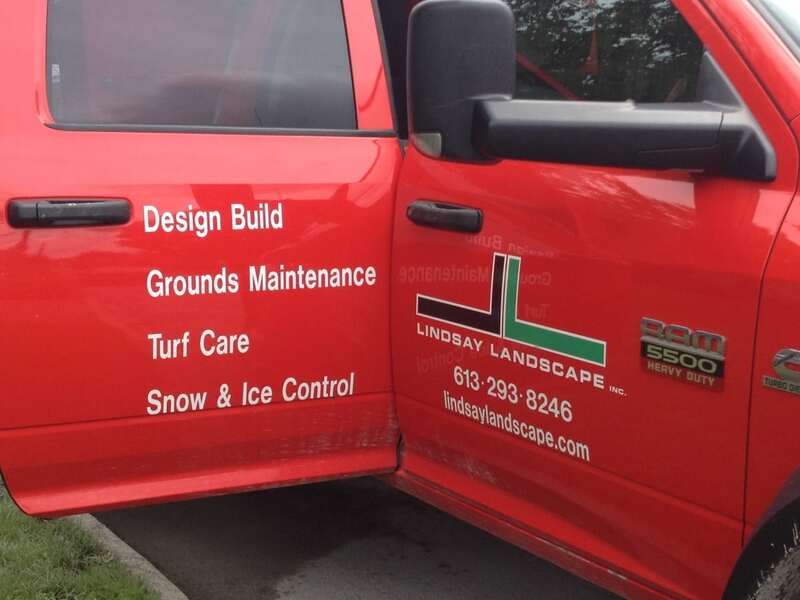 Use caution around plants you are unsure about and call Lindsay Landscape for advice. We look forward to helping you!